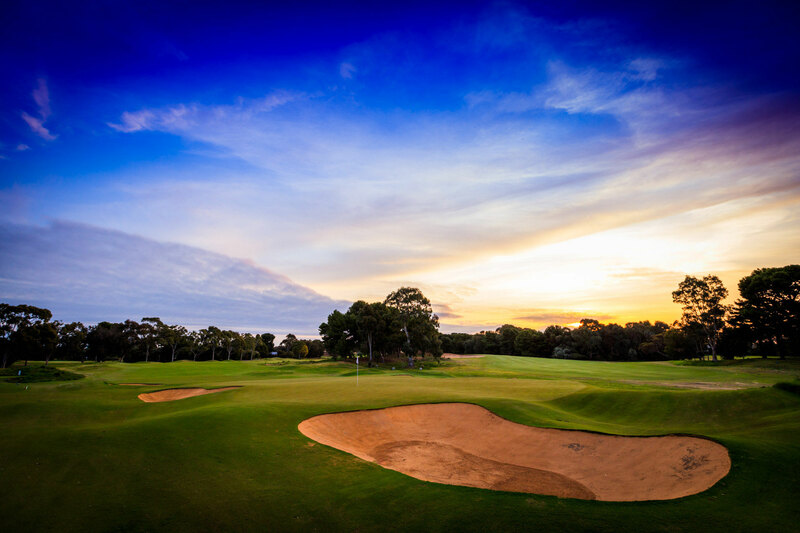 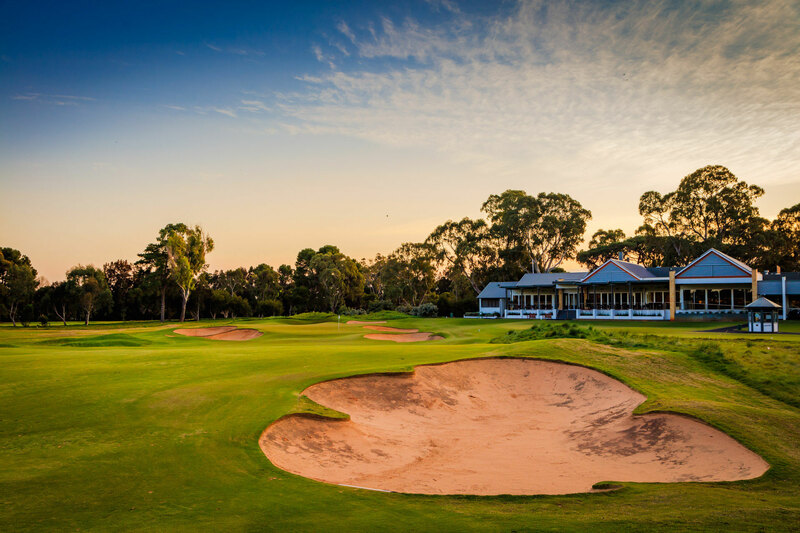 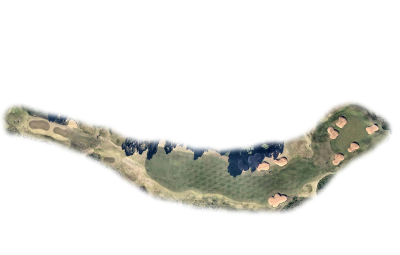 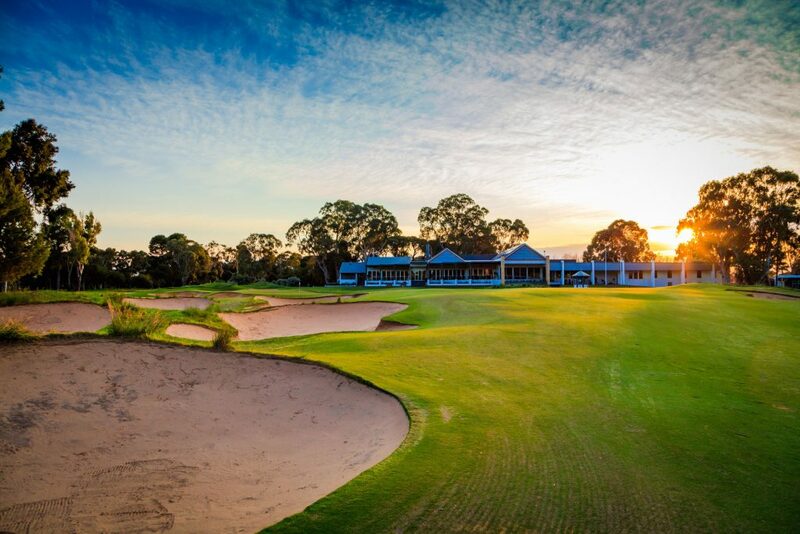 The final hole at Kooyonga requires a well-placed drive to the right of the fairway bunkers on the inside of the dog-leg. 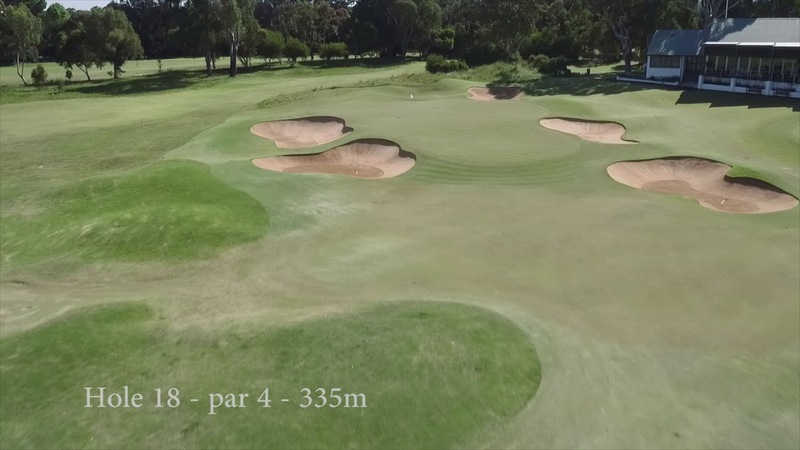 The approach to a 2 tiered green with a spine in the middle of the rear section creates 3 possible pin zones and brings the bunkers and grassy hollows in to play should the approach shot not be accurate or the correct club not selected. 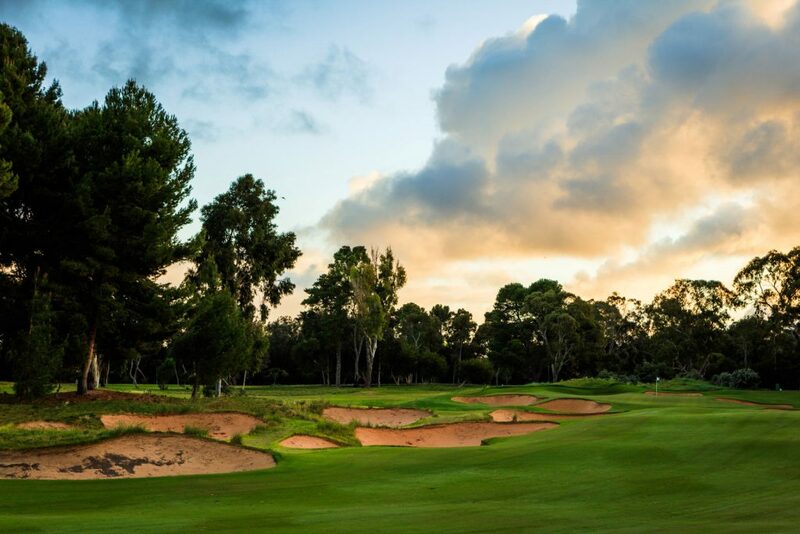 Whilst not a long finishing hole it’s a challenging hole that provides many opportunities for birdies but also some challenging putting lines to decide a match.